If you're looking to improve the photographs that you take on your Windows Phone flavored handset, you might be interested in the Photoshop Express app. 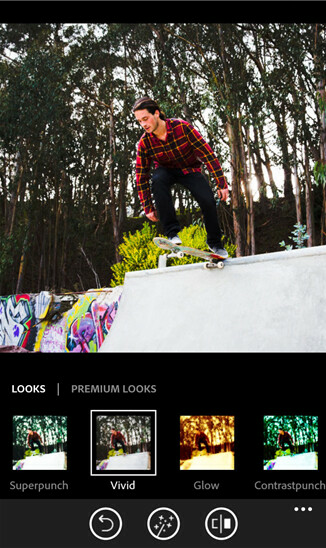 This is a photo editing app that offers basic editing options allowing you to flip, crop and rotate your pictures. Most importantly, it will even remove red eye so that your kids don't look like the spawn of the devil. Slider controls allow you to customize exposure and contrast. Are there filters? What would a modern photo-editing app be without them. Extras available by digging into your wallet to pay for in-app offerings? What would any modern app be without them. Adobe has two packs available for purchase. 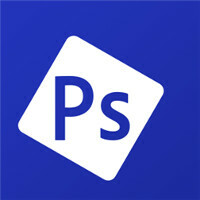 The Adobe Looks Pack adds additional filter choices. The Adobe Noise Reduction Pack eliminates "unwanted grain and speckling" from your photographs. The app is free from the Windows Phone Store, although there are those aforementioned in-app purchases you can make. And when you're done editing your pictures, you can pass them along to friends and family via social media sites like Instagram and Facebook, or by sending a text message. Good for WP users, I used to use it when I had Android. Glad there finally bringing it to WP. I'm going to give it a try on my NL1520. Cool, but I never edit in camera anyway. If I'm sharing a picture worth sharing, I'd prefer to edit it on my Desktop using Lightroom instead. This is great news for us! Photoshop Express is a good addition. Keep it up Adobe!